Thanks for sharing this. Several CTs had this deal on, including Olds. I got the last 9 man in stock for $350! 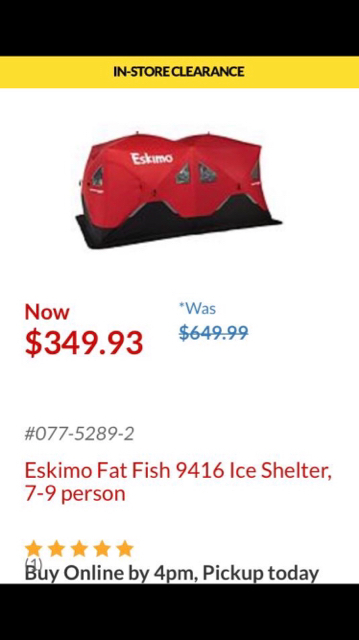 Friggin STEAL of a deal after the same thing happened 2 years ago on augers. Got a $700 Jiffy Pro 4 for $270! Thanks for the heads up picked up the 9416 at C-tire in Brooks. I got one too. Last one at CT / manning crossing Edmonton. Gonna get me a 16" perch. Debating getting a 9416 to replace my Quickfish 6i. 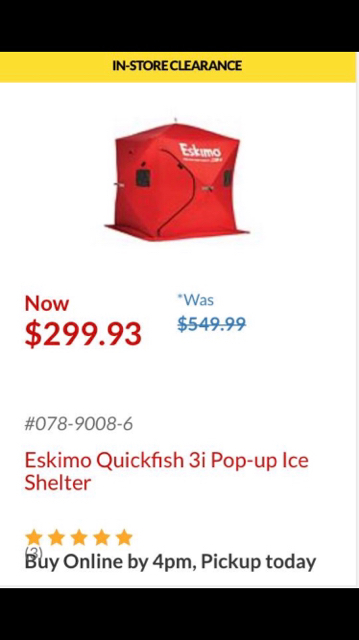 Nothing wrong with my Quickfish though, just thought about more room for the whole family. More room equals more propane to heat though. Decisions, decisions. Thanks for sharing. 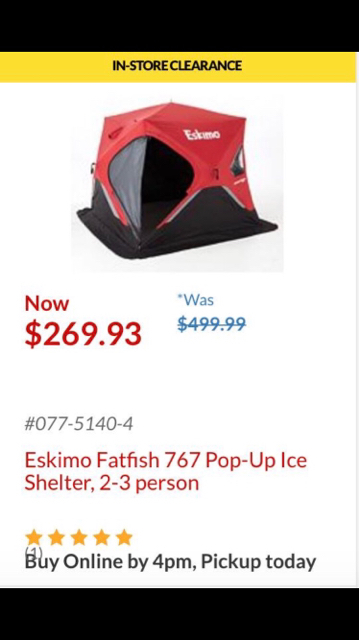 Canadian Tire in Calgary has the same deals.